This research provides a comprehensive and critical analysis of the Indian government’s efforts to rescue and reintegrate children trafficked. 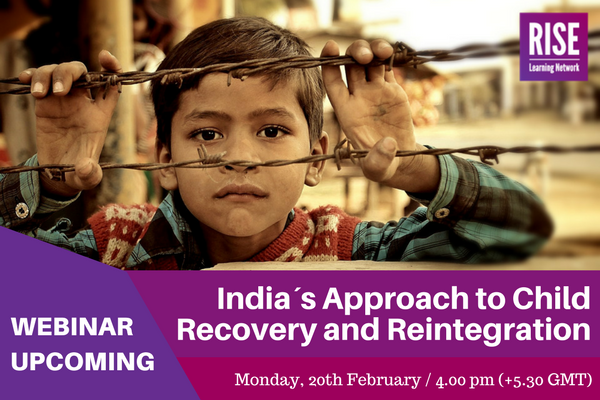 During this webinar we will concentrate on some of the overarching challenges to the successful reintegration of children, looking at current services available, organizational structures, partnerships, resources and policy frameworks. You really make it seem so easy with your presentation but I to find this matter to be actually one thing which I feel I would by no means understand. It sort of feels too complex and extremely vast for me. I’m looking forward in your next submit, I’ll attempt to get the grasp of it! I’m impressed, I must say. Seldom do I come across a blog that’s both equally educative and amusing, and let me tell you, you have hit the nail on the head. The issue is an issue that too few folks are speaking intelligently about. I’m very happy that I came across this in my hunt for something relating to this. magnificent points altogether, you simply received a brand new reader. What might you recommend in regards to your submit that you simply made a few days in the past? Any sure? What’s up to every , since I am genuinely eager of reading this web site’s post to be updated daily. It carries good information.